My perception after six months serving as your Rector's Warden is that the Kingdom of God is being built at All Saints each and every day. We are blessed with the radiant and loving presence of our Interim Priest Rev. Karen, whose thoughtful sermons and prayerful leadership during a time of transition are invaluable. We are blessed with the wonderful ongoing work of the Pastoral Care Team that provides loving care for those of us facing illness or end-of-life experiences. We are blessed that our Social Ministries Team continues to feed hundreds of people each month and to involve the community in our efforts. We are blessed to see our children and youth engaged and energized because of the work of our Christian Education leaders. The faithful work of our Vestry and Search Committee is yet another ongoing blessing. Many more teams and individuals are at work praising God with their service at the church. We are also confronted with challenges. Our very faithful Altar Guild members, Altar Servers and Coffee Hour Coordinators need more helpers to keep our services beautiful and our times of fellowship vital. Financial challenges confront us as well. To call, install and sustain the tenure of a new Rector will require us to generate additional revenue beyond our current level of giving. I am looking at these accomplishments and challenges from a human perspective (the only perspective I have). However, believing that God knows our individual needs before we even ask, I also believe that God knows what All Saints needs before we even ask. Our deepest desires for ourselves and our church are already known to God, who is ready to supply our needs. First, do not take a wait-and-see stance because we are in an interim period. If you can intensify your contributions of time, talent and treasure to All Saints, DO IT NOW because God's work is being done right here and right now. Second, trust that God will guide our church in the right direction. DO EVERYTHING YOU CAN NOW to further the work of our church. Then leave the rest to God. A New Deacon at All Saints! 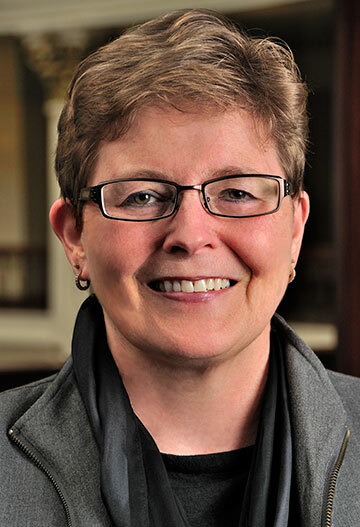 Please welcome Pam Jester as a new Deacon serving our community at All Saints. Pam visited us recently and the Holy Spirit moved! Isn't that wonderful! Please read in her own words what she says about herself and her ministry. "I am looking forward with great excitement to being the deacon for All Saints. As part of my field education at the School for Deacons, I worked with John Trubina at Sacred Space and learned a great deal from him. During School for Deacons, I was the student deacon at Holy Cross in Castro Valley. I graduated from the deacon school in May of 2104 and was ordained on June 13, 2015. My ministry in the world involves protecting elders from abuse and supporting survivors of family violence. A lawyer by training, I have worked in the University of California system for over 30 years in continuing legal education and will retire from UC service at the end of June." Pam, we are also looking forward to getting to know you and working side by side as you lend support and guidance to our church. Please know that you are most welcome to travel with us in the coming months. Rev. Karen will be joining eight others from All Saints, and about 25 others from the Southern Alameda Deanery, on June 20-21 for a Corazon mission trip the purpose of which is to build a simple home for a family in northern Mexico. She will leave from there to participate in CREDO II, a continuing education and renewal event offered to Episcopal clergy upon the recommendation of their bishop. Rev. Karen will return to All Saints to preach and celebrate on July 5. The following week and week-end, however, she will be joining other members of her family to celebrate the 90th birthday of her mother-in-law Mary. Rev. Karen will be gone from the office from June 19 - July 1 and from July 6 -12th. If you need help during this time, please contact Angelina in the church office at 510 -569-7020 or Ms. Claire Burke, Rector's Warden, at 510-633-9060. Thank you! The Rev. Dr. Katherine Ward, who is known for her powerful, relevant sermons, will preach and celebrate on June 21st and June 28th. Please come to take advantage of this opportunity, and to enjoy one another, on these days! A week of music, indoor and outdoor games, Bible stories, cooking lessons, building projects, and arts and crafts is being planned for August 3 - 7 at All Saints. The hours of the VBS will be from 9 a.m. to 4:00 p.m. for those age 8 and above. Children who are not yet 8 are invited to participate between 9 a.m. and 12:30 p.m. Middle and high school students are invited to be involved as program aides and counselors, and will be offered optional leadership training in July. Friends are welcome to come! A donation of $60 from those who come for a half day, and $75 for those who come for a full day will help cover expenses. However, scholarships will also be available; the intention is that all those who are interested may participate! Children are asked to sign up by July 15th so that supplies may be ordered. Registration forms are available through the church office (call 510-569-7020). The All Saints VBS Team is coming together well and there are still opportunities to help. We need people (youth to grandparent age!) interested in presenting dramas, leading science demonstrations, and working on building projects with the children. It would also be helpful to have help with decorating, snack preparation and signing in and out. Please contact Claire Burke (510-633-9060) or Rev. Karen (510-569-7020) for more information! A VBS volunteer orientation and staff meeting will be held from noon to 2 p.m. on Sunday, July 26. People who would like to join others in thinking about the meaning and purpose of life, and in learning about the ways in which the Episcopal Church addresses this, are invited to sign up today for one of two classes to be offered on Sunday or Wednesday mornings from July 15 through September 1 (excluding the first week of August.) The Sunday morning class will run from 9:15 a.m. to 10 a.m. The Wednesday morning class will run from 8:15 a.m. to 9:15 a.m. Both classes will be held in the Rector's office at church. If needed, childcare will be arranged for participants in the Sunday morning class. Although the most will be gained by those able to come regularly, participants are welcome to come in and out of the class as their summer schedules allow. We have made it through the second part of the journey! This week we submitted our Portfolio and Profile to the diocese. These were two documents that applicants can look at to get a first impression of All Saints. Please go to the All Saints Website to take a look at the Profile. I think it is gorgeous and tells our story well. Now we are preparing for the candidates! We are preparing our interviewing questions, getting ourselves even more clear on what our directives are from the community about what is important for us, and we wait. The call closes on July 31 so we may get some applicants during the rest of June and the beginning of July, but it really starts end of July and into August for the making of the first cut and for the phone interviews. Please remember: At this point, the details become confidential; please don't ask us about applicants. And keep us in you prayers. The All Saints Pastoral Care team provides a number of valuable services to members of our parish when there is a requested need or change in one's circumstances. Team members visit people in the hospital or those confined to their homes, provide rides to church, send cards to members when they are not feeling well or are having a birthday, call to follow up if someone returns home from the hospital, and bring Eucharist into the homes of those who cannot come to church. We have delivered refrigerators, picked up supplies at Costco, and would be happy to prepare food for you. We have a wide range of skills, and are remarkably resourceful! Our community is an extended family, as Rev. Karen expressed in her Sunday sermon on June 7th. We are here to support and help one another. 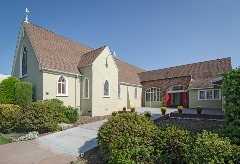 If you find you need a ride, or would like a visitor, a friendly phone call, or to have the Holy Sacrament of Eucharist brought to you, or you have any other requests or needs, please contact the church office at (510) 569-7020, or call Rev. Karen Swanson at (650) 200-8449, Anne Phillips at (510) 562-3856 or Lindsay Ralphs at (510) 410-7933. Blessings from our team. The food pantry continued its work in the community, providing not only sustenance, but also opportunities for service. At the June pantry, we were joined by nine members of People to People, an organization that promotes increasing cultural understanding through service. They will be heading off to China next month! The first Saturday in July happens to land on July 4 - but the pantry will carry on as usual. Well, what will be unusual is that there will be hot dogs for all! A few hot dog cookers will be needed, so if you're interested in helping out, please let me know. www.avpusa.org or www.avpca.org or talk with Lydia McCloskey at Holy Cross. To register for the workshop contact avpbaybridge@gmail.com or call 510-394-2622. We are sorry to announce that our own Virginia Egan passed away this past Friday night. Services are pending. Many of you will remember her bright smile and very positive outlook on life. She will be sorely missed. Our condolences to Elizabeth and Michael and to the rest of her family.